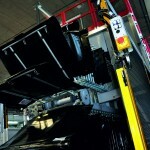 The extensive expertise our Company in Laminated automotive glass provides ranges from the single machine (such as the Vinyl unwinding machine) up to more complex lines (such as Assembly lines, bag furnace, on line application of components, Autoclave lines, PVB trimming, Inspection Lines on windshield, sunroof, sidelight, with automatic unloading and packaging system). This in order to ensure the best process improvement for our Clients, guaranteeing the most customizable layout integration in line with safety regulations. 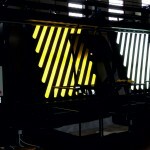 Iocco is integrator of the main vision systems, ensuring the highest quality standards to the glass inspection process. Of course the solutions we provide can be customized thus our Customers throughout the project phases. 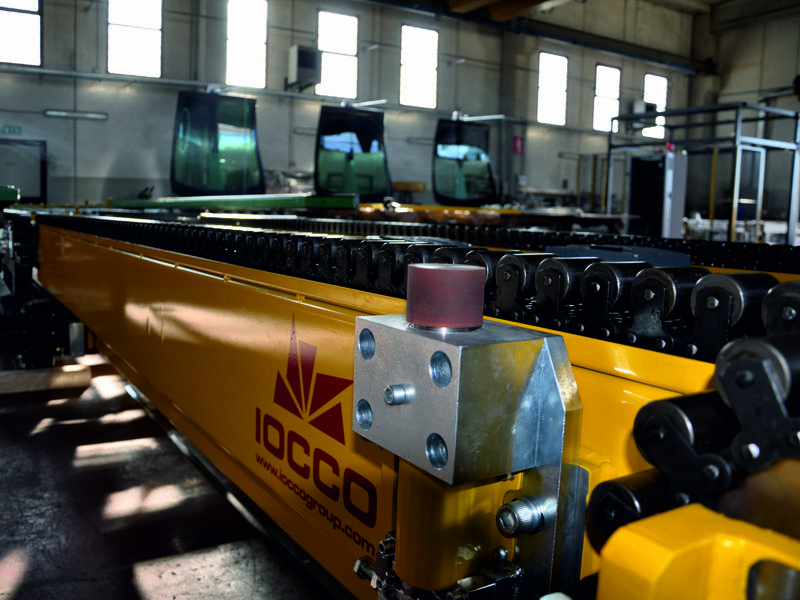 The extensive expertise IOCCO Company provides ranges from single assembly machine to complete line, Laminated-automotive-glass- processing. Preprocess phase consists of those activities made on glass, preliminarily to the bending and consequent assembly. 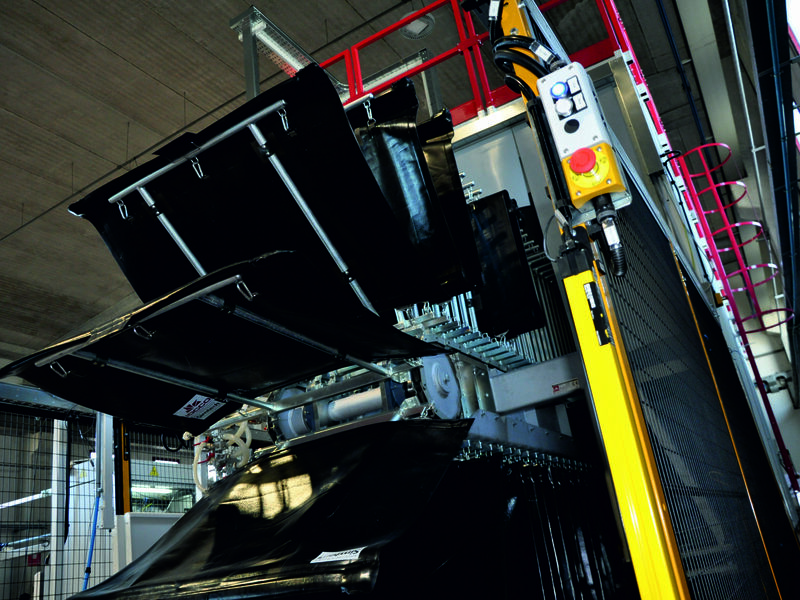 After loading, the glass through handling machines is transferred to cut, brake and grinding machines, and then to washing and printing machines. 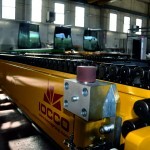 Iocco is able to design and supply handling connection for grinding machines and also to perform integration of grinding machines, handling connection with washing machines, integration of washing machines, handling connection with printing machines and integration of printing machines as well. It is opportune that the production line is equipped with storing systems to guarantee the glass flow continuity directing it towards the bending by means of connection with bending furnace. The advantage of integrating the different preprocess equipment guarantees to the Client the plant total management through a sole supervising software. Shaping Check, before assembly, is a preliminary phase where glass is subject to. Grid check follows to ensure the integrity of the printing circuit, where existing. Before washing, the pair of glasses is divided and flipped wings down to better remove possible impurities. Once the pair of glasses is bent, the unloading system for bending furnace is performed by a dedicated equipment in order to free the mold from the glass. In the meantime PVB Pre-Processing – Trimming and Lay Up phases take place to unwind and accumulate vinyl interlayer. This is subsequently stretched to better adhere to glass, then it is cut, stored on trays and handled through an automatic tray feeding system to ease Assembly the PVB/Glass by the operators in the assembly room. The Assembly can be performed either automatically or semi-automatically. The pair of glasses undergo a Pre-Pressing phase to keep the right alignment between inner and outer glass. A fundamental step in laminating production is the De-airing, to be obtained through either Vacuum Bag Furnace or Vacuum Ring Furnace. The two mentioned systems adopt different technology and grade of sophistication according to the production needs, in terms of flow rate and manpower, and require significantly diverse financial commitments. 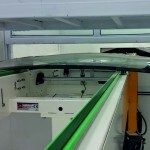 Once Deairing is completed, Check After Deairing is performed and glass is generally subjected to Mirror Boss and Rain Sensor Applications in case of windshields, using different technologies. With regard to sunroofs and sidelights, other types of components and devices are applied. Automatic Loading and unloading autoclave conveyor system allows a continuous feeding into autoclave. 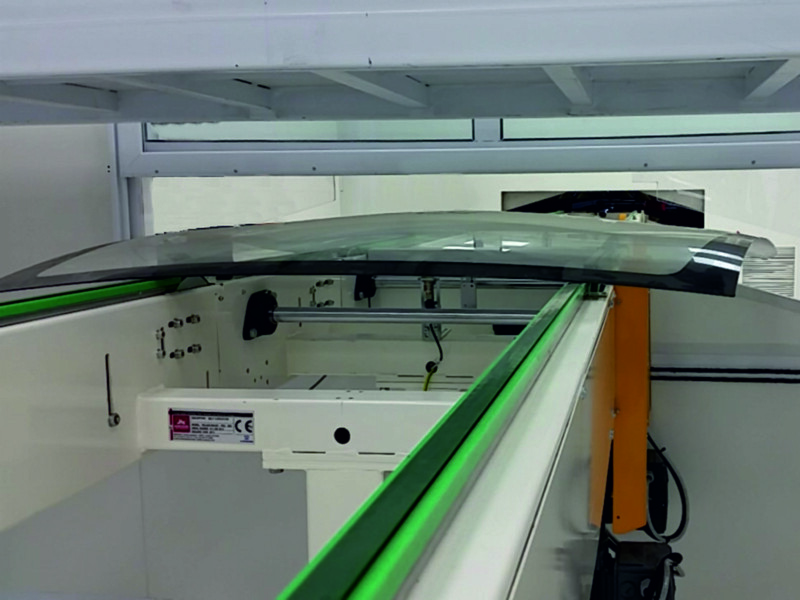 At the exit of the Autoclave, laminated glass undergoes PVB trimming operation and, after final washing, it enters in the Final Inspection Line, consisting in both visual and optical checks. 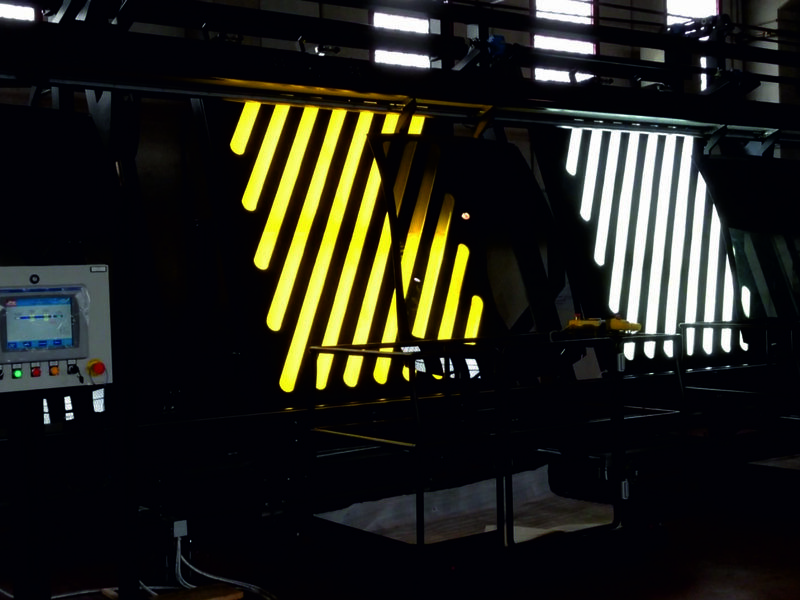 Iocco is able to integrate multiple optical Vision Systems.